Dwarf tossing has never been okay. It even embarrassed Gimli to ask Aragorn out of necessity, why wouldn't these folk find it embarrassing?! Olympia, Washington saw protestors of a different sort on Thursday. 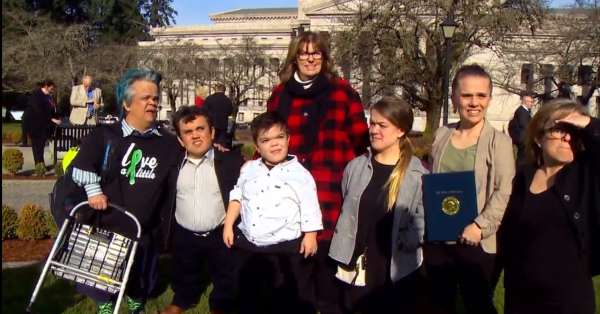 A group of Little People showed up in support of a new anti-‘dwarf tossing’ bill. The bill (SB-5486) will have to be approved by the Senate committee and full Senate before being sent to the House for hearings a vote. A confirmation on the Bill would mean Washington would join Florida and New York as the only states to ban dwarf tossing. 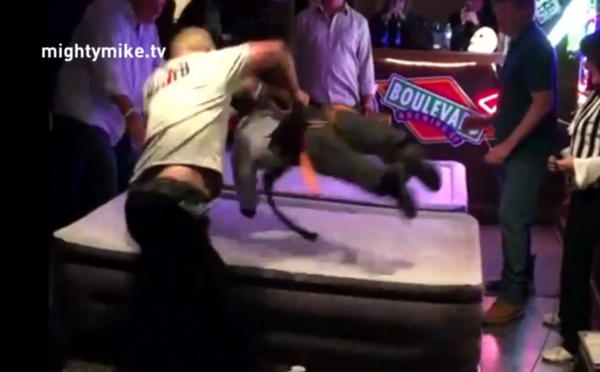 Nightclubs would lose their liquor license and be fined $1,000 if they hosted an event for dwarf tossing. There are some who say it shouldn’t be outlawed. Mighty Mike Murga who works as an actor and entertainer says it should be the choice of the little person whether they want to be thrown or not. Drunk nightclub goers throwing around little people sounds like a recipe for disaster and very likely lawsuits. Not to mention that it reinforces the stereotype that little people are there for entertainment and not to be treated as human beings with dignity. No one’s saying you can’t let friends throw you around in the backyard if you’re a little person who REALLY wants to be thrown; you just can’t do it in a nightclub where people are drinking. Makes sense to me. Next PostNext Sinkhole or Underground Bank Robbers Tunnel?